When it comes to the Apple Watch, it's important to know this: Before its arrival last year I was 1) initially skeptical about the whole concept; 2) willing to give it a try as details emerged; and 3) among the first wave of buyers to plunk down $599 and put it on my wrist. I've been loving and hating on it ever since. I'm not alone, at least when it comes to buying. An estimated 12 million Apple Watches have been sold and it's dominating in the wearables market. But even fans like me can see that there are areas where the Watch still needs improvements. Let's start with what the Watch does really well. Overall, the design of the Watch works: It's a good-looking piece of tech that doesn't stand out as techy. The Watch succeeds because it looks like a watch. During the past year, I've used the Watch while sleeping, swimming, showering, exercising, and many other times in which it has taken direct hits. I bought the stainless steel model with sapphire display and the materials have held up well. Kudos to Apple for getting the material build right with this first-generation device. There were a number of hardware advances that make the Watch special, the Digital Crown chief among them. It is as precise and fluid today as it was on day one. Being able to scroll through lists and scan the day's appointments or weather on the Watch Face is more than handy, and using it as a Home button or to activate Siri is inspired. Apple engineered a crown with functionality that seems downright obvious in retrospect. The other bit of hardware that truly made the Watch stand apart is the Taptic Engine, the mechanism that provides physical feedback for various functions. The Watch doesn't just vibrate; with some notifications, it literally feels as if it is tapping you on the wrist. It taps when you've been working too long and haven't stood up to walk around; it taps to give turn-by-turn directions (with different tap patterns for turning right or left); and it taps to let you know the timer is done, or for an alarm. There have been times I've slept through my iPhone blaring music or sirens in attempt to wake me, but I've never been able to ignore the Watch tapping my wrist to pull me from slumber. Even better, the tapping alerts only you -- unlike an audible alarm that can awaken others. The Digital Crown and Taptic Engine revolve around how the Watch interacts with you. As for how you interact with it, Force Touch has made using the small-screen device a unique experience. By displaying different functions based on how hard a finger is pressed on the screen, Force Touch allows the Watch's interface to remain uncluttered while still allowing access to various hidden functions. Beyond the stock look, the Watch's multiple and customizable Faces and Complications allow for a level of personalization that for most users make it feel like one of a kind. There are countless watch bands from Apple and third-party suppliers to create different looks and styles to match most wardrobes or emotional whimsies. The software feature that works the best -- and this may be the sole function most important to Watch users -- is Notifications. Receiving and being able to act on a notification without having to pull the iPhone out of your pocket is incredibly useful; Messages and Emails arrive and can be answered or dismissed right from your wrist, and Siri dictation is surprisingly solid. And since Notifications can be customized in the Watch app, the only thing that reaches my wrist are the important alerts I've let through. Everything else remains on my perfectly silent iPhone, waiting for me to check them at my leisure. The Watch has helped lower my stress levels and my iPhone no longer irritates me with a constant buzzing. The second best feature about the Watch is being able to buy things with it. 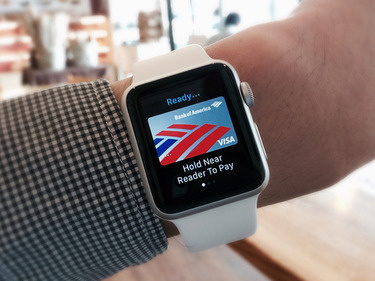 Sure, Apple Pay works well with Watch hardware like the Secure Enclave (for storing encrypted payment info) and wireless NFC for contactless payments on supported point-of-sale systems. But there are other ways to buy products using third-party apps such as the Dunkin' Donuts app; it presents a barcode on the display which can be scanned as easily as a coupon or gift card. Even better, since most apps are aware of their location and the proximity to retail stores, purchasing usually requires just a swipe of the Notifications sheet and a tap to be used. It's not quite as convenient as using Apple Pay, but it's still pretty damned convenient. That convenience will only grow as more services and locations add support for Apple Pay. Major locations such as Subway and Walgreens already support it, but vending machines are getting in on the action, and soon you'll be able to use the Watch at the gas pump as well. For travelers, the Apple Watch is downright revolutionary. The American Airlines and Southwest Airlines apps are just two examples. Have you ever gone to an airport with just a carry on, a photo ID, and your Watch? It is incredibly convenient traveling without a paper boarding pass: no more struggling to juggle luggage and paper passes; just show your ID, scan the Watch face, and you're through security and boarding the plane in no time. For frequent travelers, this is almost a godsend. The best part is that since your boarding pass is digital, it updates on the fly. Did your boarding gate change and you missed the announcement? Doesn't matter; the Watch knows, and so do you. While you're wandering through the airport, you can also quickly respond to incoming Messages on the Watch. I use Siri to dictate messages and rely on the animated emojis more often than I should admit. (Sometimes they're just cuter than the stock emojis.) Speaking of Siri, support for hands-free activation by raising the Watch and saying, "Hey, Siri," is an irreplaceable feature in the kitchen for starting count-down timers. Siri is also useful for dictating messages, checking scores, and quickly setting alarms (more on that below). 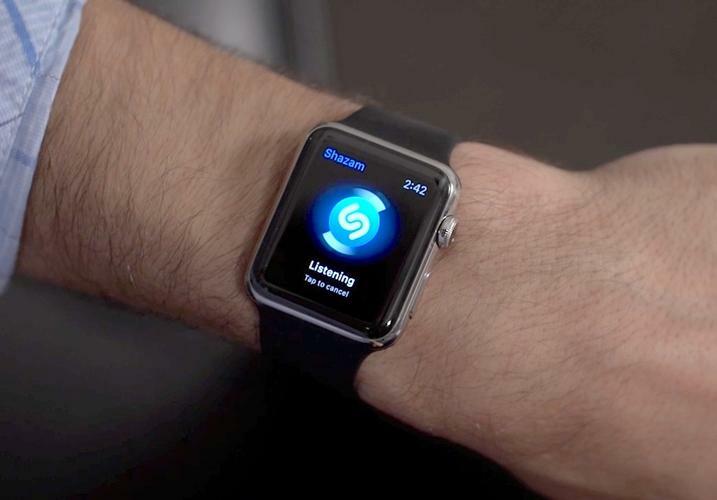 The Watch also works really well for controlling other Apple devices: Apple TV content and audio played through an iPhone or iPad can utilize the Watch as a remote control. This works really well because you can't ever misplace the remote when it's attached to your wrist. Finally, for me the first- and third-party Complications on the customizable Watch Faces have become a major time-saver. Being able to glance at my next appointment, or flight information, or the current weather, or stock prices, or even moon phases -- all of which are continuously updated -- is such a luxury I've come to rely on. There is one utility I use all of the time on the Watch: MacID. It establishes a Bluetooth connection to your Mac, and whenever you walk away from the computer, it automatically triggers my screensaver and locks the Mac. 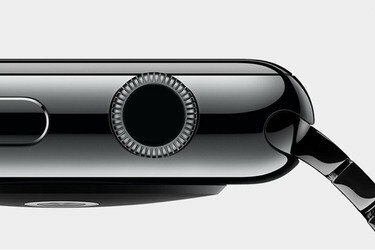 When you return, the Watch buzzes and brings up an alert, letting you unlock your Mac with a touch of a button before you even sit down. It's very useful if you are working on confidential documents or even if you have prankster coworkers. The utility has become more consistent in establishing and maintaining connections from day to day, though I sometimes have to delete the linked device and re-add it. But overall this is a great time saver; especially for those that have to leave their Mac up and running, such as IT workers. Over the past year, there have been several updates to the Watch software that have improved speed and performance of first- and third-party applications and glances, as well as general reliability. The upgrade process itself is still cumbersome and slow, however. First the software must be downloaded to the iPhone. Then the iPhone transfers the software (slowly) to the Watch. Then the Watch installs said software (slowly) -- assuming it's within range, has over 50% battery life and is connected to power. While the overall process works, it could use some tweaking, including easing up on some of the conditions necessary to start an update. On the Watch itself, there are a few things that haven't been implemented well, to the point I forget the features even exist. I rarely access anything using the Favorites button next to the Digital Crown. You remember the Favorites button, right? It's used for quick access to the more social aspects of the Watch. These include quick access to a screen where you can finger-sketch a drawing and send it to a favorite contact, or send a tap to get a friend's attention. You can also send your heartbeat to someone, which you'll almost certainly do when you get the Watch (and find someone to send it to) and then forget to do ever again. These are all fun things to do, and are actually pretty cool when you see them in action. But the reliance on the Favorites button -- a button you won't use for much else -- means they're effectively out of sight. I have many, many friends that have an Apple Watch and to whom I could be connecting with. But I don't, because I just forget the features are there. When I said earlier that there are times I'm hating on the Watch, it's not really the timepiece itself; it's the ability (or lack thereof) to use it as a fitness accessory. From day one, I have had problems getting the Workout app to properly monitor my heart rate while lifting weights, and from day one, I've gotten unreliable results. Using the Apple Watch to track my workouts left me with a full year of throwaway fitness results. I've tried everything to get an accurate heart rate; I finally figured out that the best way to get decent -- not accurate, just decent -- results is by turning the Watch so that it faces the underside of my wrist. 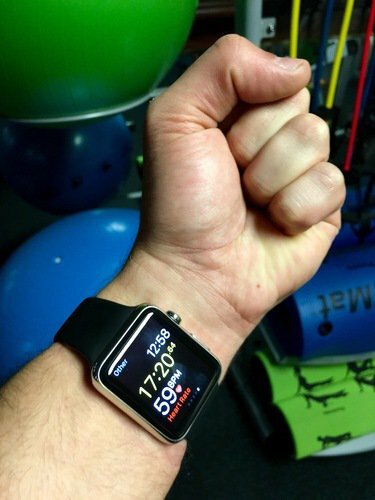 The best way I've found to get decent heart rate results while weightlifting is by turning the Watch so that it faces the underside of my wrist. What's the issue? The Workout app loses my heart rate, then displays it as 40-50 beats per minute in the middle of an intense workout. But if I stop the Workout app and launch the heart rate glance, it accurately displays my pulse! So, there's nothing actually wrong with the hardware; it can get an accurate heartbeat (and generally does a good job when I'm running). But accurate data isn't making it to the Workout app. This is clearly a software issue that's never fixed. Your mileage may vary, but the first-generation Microsoft Band had a better, more accurate heart rate monitor for fitness tracking. I only stopped using the Band because Microsoft never delivered support for Apple's Health app. That's a complete deal-breaker for me. On a related note, Apple's Workout/Activity/Health apps need serious makeovers; they lack the social aspects of other workout apps that help people stay motivated, and, while filling in the ringed Activity circles is a clever twist for base-level fitness, the Health app needs a rewrite along the lines of TactioHealth to better display information in easy-to-understand ways. Despite these irritations, I wear my Watch daily. I recognize that what it needs most is faster hardware (and more accurate heart rate software) to truly allow developers to build on what can it can do. It's easy to forget that the iPod took several generations to catch on, as did the iPhone. I expect the same thing will happen with the Watch. It remains most useful for the tech-savvy, but it's poised to broaden its appeal as services like Apple Pay expand. Despite the first-generation tradeoffs -- and there are always trade-offs when you're on the leading edge -- this is a wearable that will continue to gain traction over time as features, battery life and technologies improve. On a larger scale, it's likely the Apple Watch will do to the watch market what the iPhone did to the smartphone industry. Am I going to give up on the Watch? Hell no, I love this thing. It will not be exiled to the Drawer of Forgotten Tech. Though it remains a work in progress, it is useful day to day. The Apple Watch has made watches interesting again for a generation that had largely given up on them. And it's shown a whole new generation of tech users that a watch can do so much more than just give you the time of day.